Finance Secretary Carlos Dominguez III has urged the Organization of Petroleum Exporting Countries (OPEC) to participate in the development of the New Clark City in Pampanga. In a statement, the Department of Finance (DOF) chief said OPEC Fund for International Development (OFID) has offered its assistance to the Philippines in funding the Duterte administration’s “Build, Build, Build” infrastructure modernization program. He told OFID representatives that they can participate in the development of New Clark City, where an alternative international airport is being built and a new government center will rise. 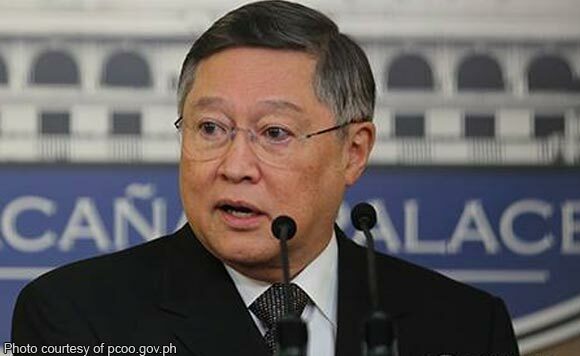 Dominguez said the OPEC-established financial institution could also help rebuild the devastated Marawi City and the rehabilitation of the Agus power plant system, both in Mindanao. Quoting Anajulia Taylhardat, OFID’s director for Asia, the DOF said during the meeting that the institution would be “very happy to support” these types of projects. OFID, established in 1976, has for 13 member-countries, namely: Algeria, Ecuador, Gabon. Indonesia, Iran, Iraq, Kuwait, Libya, Nigeria, Qatar, Saudi Arabia, United Arab Emirates and Venezuela. Dominguez thanked OFID for its interest in helping fund the government’s “Build, Build, Build” program and development projects and said Philippine officials will continue to explore possible financing or co-financing opportunities with the institution.